On the patio are a couple dozen chairs arranged in a circle. One by one, Tanzanian farmers begin to occupy the seats. Other items begin to enter the scene. Farmers begin to take out small, passport sized notebooks. Finally, the group’s leader emerges and you take notice of a steel box with multiple padlocks, roughly the same size as a tackle box. 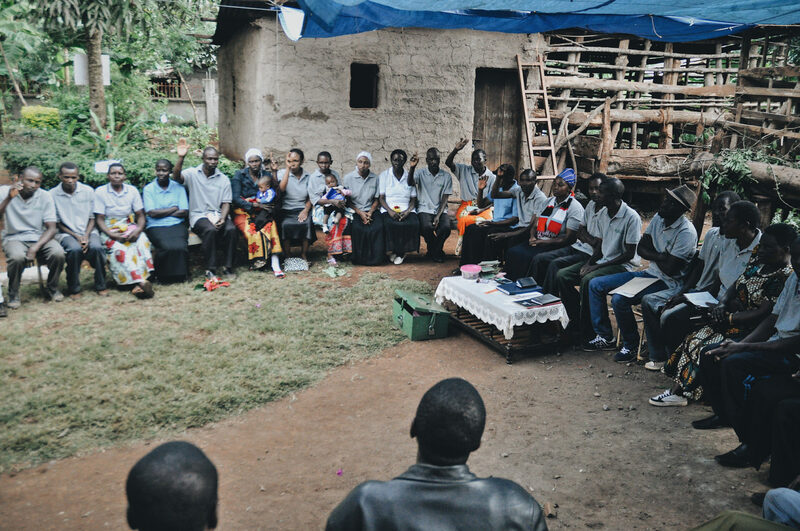 This is what a community savings group looks like in rural Tanzania. Plant With Purpose has worked to establish close to 400 of these in the country, as they’ve helped numerous families overcome the challenges of poverty. Once everybody has arrived, the enthusiasm of the group erupts into celebration. Many of the group members offer introductions and come together to sing worship songs as well as recite group mottos. “Harambe! Harambe!” members shout. Harambe means cooperation, or coming together as one. This begins the process of guests bringing forward their coins and banknotes as savings and investments. Savings group members determine their own rules and bylaws. 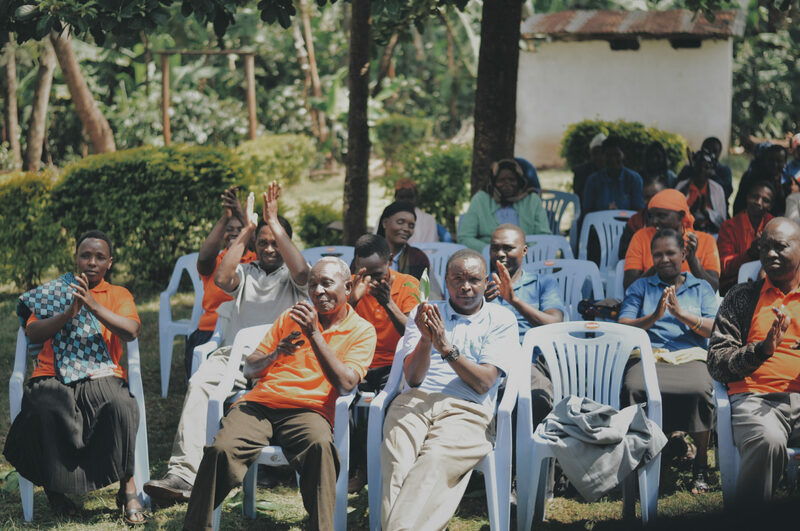 Plant With Purpose savings groups rely on community participation to succeed. Group members can purchase shares with their savings, and can take out loans for up to three times the amount they’ve saved. This creates the opportunity for business investments and other purchases that allow them to quickly pay off the loan and generate more income. For savings groups to be effective in long-term poverty alleviation, leadership and buy-in must happen at the local level. The goal is to eventually remove the need for Plant With Purpose’s involvement in community savings and economic development once the experience, knowledge, and processes are in place. To get this local buy-in, groups first operate with a high amount of autonomy. If the vibrant singing and cheering at a typical Tanzanian group meeting is any indicator, communities have wholeheartedly embraced these groups. Group members collectively elect their leaders, set their interest rates, as well as their own by-laws. This further calls for collective decision-making. The opportunities that savings groups present to the community are big, but they ask for something important in return- unity among its participants. 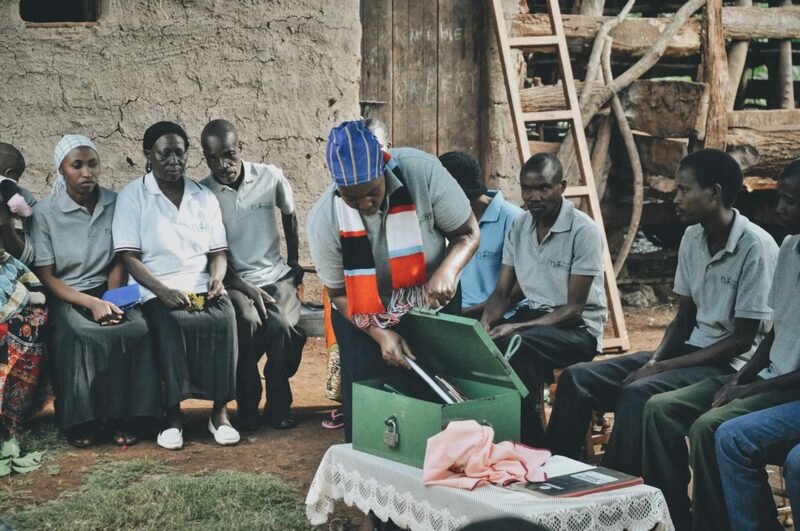 Savings groups, in turn, strengthen relationships among a community. A byproduct of these savings groups has been an expanded sense of unity. Local government leaders have called Plant With Purpose’s savings groups one of the best tools for reconciliation they’ve seen. Seeing the tangible results and benefits of group cooperation further reinforces the value of unity. A big objective of Plant With Purpose’s spiritual renewal program is the restoration of relationships between people. In this way, we see how connected spirituality is to another component of its program- economic empowerment. Plant With Purpose believes that environmentalism, economics, and spirituality are so connected that they inevitably impact each other. Savings group members have often found a sense of belonging, purpose, and hope, in addition to their new economic opportunities. Group members pray and worship before and after their transactions. They start and end on the same note- hope. “We love each other, we support each other,” explains Christina, one of the group’s participants. “We help each other,” she says while smiling. Want to help open more savings groups across Tanzania and other parts of the world? Becoming a Purpose Partner! Your monthly gift will help bring economic empowerment and spiritual transformation to communities ready to come together.